VeoRide' s University of Arkansas and Fayetteville program, the state's largest bikeshare, is tripling its fleet of e-assist bikes. The program launched in September of 2018 with 290 customized non-electric 7-speed bikes and 50 standard second-generation e-assist bikes. The expansion is in response to high customer demand to electric assist bikes. Users have taken over 35,000 rides on VeoRide bikes in Fayetteville since the program launched. According to VeoRide' s usage data, the e-assist bikes have been checked out at three times the rate of the non-electric bikes. The new e-assist bikes are fully customized with custom Razorback red frames and feature the latest third-generation technology upgrades. The front-drive motor can assist riders to pedal up to 15 miles per hour and responsively adjust torque to match riding conditions, such as traveling up a hill. The battery can run up to 68 miles on a single charge, and VeoRide's operations team will swap the battery when it needs to be charged. The customized e-bikes are available on the same VeoRide app that allows riders to access the pedal bikes. Just find the e-bike icon on the map in the app, select to reserve, scan the QR code and to unlock. 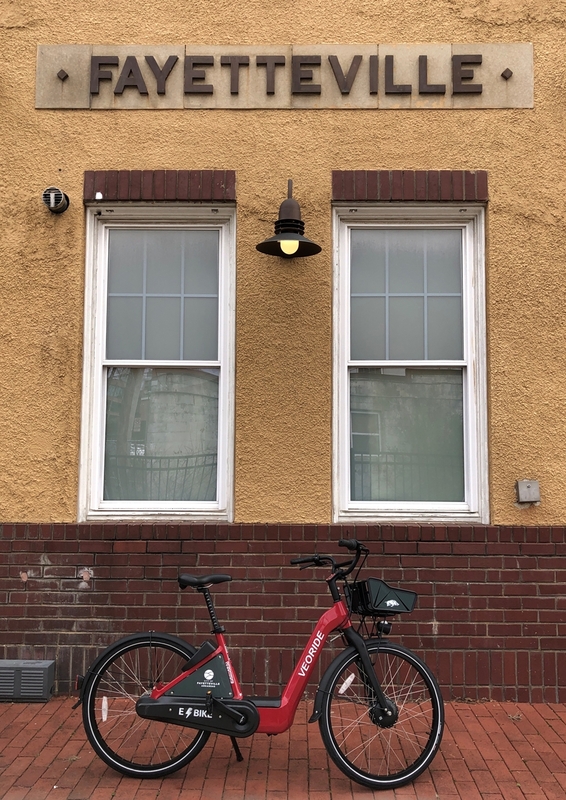 The cost to rent the e-bike is $1 to unlock and $0.10 a minute. Users without a smart phone can contact VeoRide to receive an RFID card which can be used to unlock the bikes. The new e-assist bikes will be rolled gradually of the next two weeks as the bikes are inspected, charged and distributed to bike share hub locations.